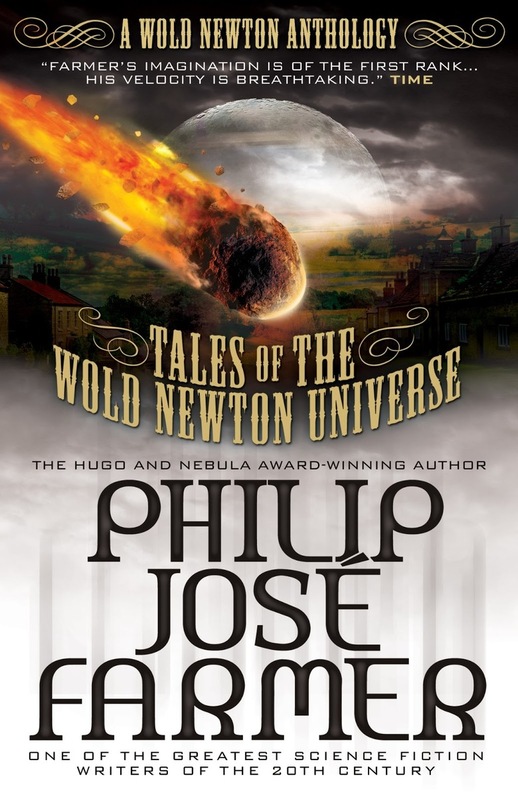 October marked the release of Tales of the Wold Newton Universe, a new anthology from Titan Books that collects, for the first time ever in one volume, Philip José Farmer’s Wold Newton short fiction, as well as tales set in the mythos by other Farmerian authors. The Wold Newton Family is a group of heroic and villainous literary figures that science fiction author Philip José Farmer postulated belonged to the same genetic family. Some of these characters are adventurers, some are detectives, some explorers and scientists, some espionage agents, and some are evil geniuses. According to Mr. Farmer, the Wold Newton Family originated when a radioactive meteor landed in Wold Newton, England, in the year 1795. The radiation caused a genetic mutation in those present, which endowed many of their descendants with extremely high intelligence and strength, as well as an exceptional capacity and drive to perform good, or, as the case may be, evil deeds. The Wold Newton Universe is the larger world in which the Wold Newton Family exists and interacts with other characters from popular literature. For today’s installment, please welcome author and co-editor of Tales of the Wold Newton Universe, Win Scott Eckert. 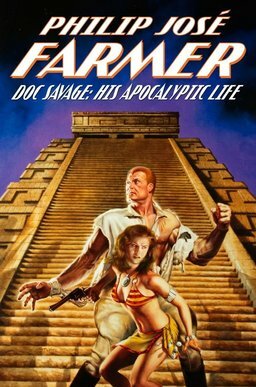 Doc Savage: His Apocalyptic Life (recently reissued in a handsome deluxe hardback by Meteor House) was my introduction to Farmer’s Wold Newton Family. Like its predecessor, Farmer’s Tarzan Alive: A Definitive Biography of Lord Greystoke, it is a biography of a real person. And like Tarzan Alive, Doc Savage captivated me with its overview of a great hero’s life, its reconciliation of inconsistent details which peeled back the curtain to reveal the truth behind the fiction, its detailed chronology, and its appendices which covered the amazing family history and genealogy of the bronze superman. Farmer’s world-building, drawing on the best in adventure, mystery, horror, thriller, and science fiction, made an indelible imprint on my psyche. Once one studies the source materials, Farmer’s Wold Newton genealogy, and his methods, one can join in on the Game, just as Sherlockians do with the Great Detective, and propose new genealogical connections or characters who exist in the wider Wold Newton Universe (WNU). The WNU provides a ready-made storytelling backdrop, and it been my privilege to add to the tapestry with my tales of Pat Wildman and the hidden origins of the Wold Newton Family. In my introduction to Lord of the Trees (Secrets of the Nine #2, Titan Books, 2012), I proposed that the continuity of Lord Grandrith and Doc Caliban was in fact parallel to that known as the Wold Newton Universe. In my chronology in The Mad Goblin (Secrets of the Nine #3, Titan Books, 2013), I expanded on that notion, suggesting that the two universes shared a common past which diverged in distant ages, as a river branches into two, and that the secret cabal of immortals known as the Nine predated the divergence. “The Wild Huntsman,” part of my Wold Newton Origins sequence, brings the two universes back together, in a tale that pits a certain immortal jungle lord against the one of the most notorious members of the immortal Nine, and ties the Secrets of the Nine series to Farmer’s Time’s Last Gift (Titan Books, 2012), The Other Log of Phileas Fogg (Titan Books, 2012), Christopher Paul Carey’s prequel to the Khokarsa trilogy, Exiles of Kho (Meteor House, 2012), and the present volume’s “Into Time’s Abyss” (by John Allen Small). It also reveals exactly why seven couples in two carriages, their coachmen, and several others on horseback were at the precisely correct location, at the precisely correct time, to be exposed to the ionization of a meteorite in the out-of-the-way village of Wold Newton, Yorkshire, England, on 13 December 1795 — an event that led to a beneficial genetic mutation that was reinforced by their descendants, the supermen and superwomen of the Wold Newton Family. 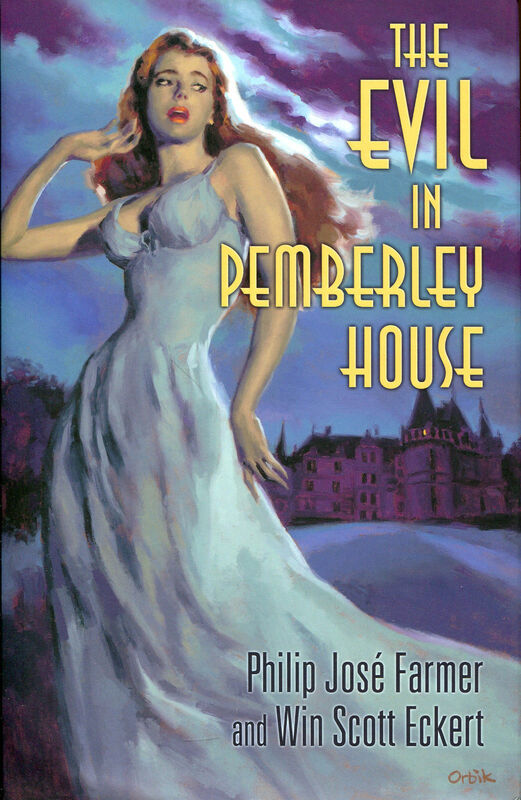 Win Scott Eckert is the coauthor with Philip José Farmer of the Wold Newton novel The Evil in Pemberley House about Patricia Wildman, the daughter of a certain bronze-skinned pulp hero. Pat Wildman’s adventures continue in Eckert’s sequel, The Scarlet Jaguar. 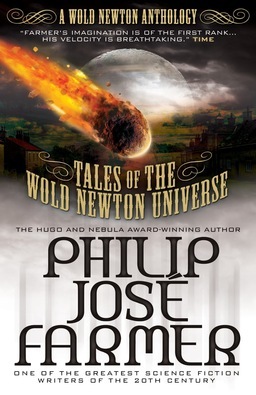 He is the editor of and contributor to Myths for the Modern Age: Philip José Farmer’s Wold Newton Universe, a 2007 Locus Awards finalist. He has coedited three Green Hornet anthologies, and his tales of Zorro, The Green Hornet, The Avenger, The Phantom, The Scarlet Pimpernel, Captain Midnight, The Domino Lady, and Sherlock Holmes, can be found in the pages of various character-themed anthologies, as well as in the annual series The Worlds of Philip José Farmer and Tales of the Shadowmen. His critically acclaimed, encyclopedic two-volume Crossovers: A Secret Chronology of the World 1 & 2 was recently released, and A Girl and Her Cat (coauthored with Matthew Baugh), the first new Honey West novel in over forty years, is due in 2013. Find him online at winscotteckert.com and @woldnewton.